As the Official Water Supplier at the 2017 Senior Open Championship Presented by Rolex, Radnor Hills Water has joined forces with the European Senior Tour, England Golf and Golf Development Wales to launch their biggest on pack promotion yet. 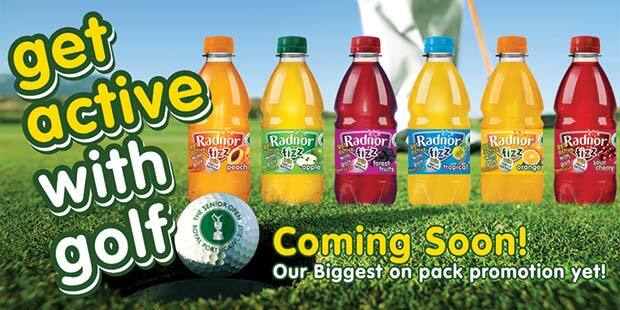 Focusing on their school compliant drinks range Radnor Fizz, the Welsh company will run a ‘Get Active With Golf’ promotion on approximately 15 million bottles, beginning on Monday February 27, 2017. Aiming to help school caterers grow their soft drinks sales, the promotion will also offer ‘money can’t buy’ experiences in golf for the entire family – including weekly prize draws and giveaways. An overall prize draw will be held at the end of the promotion in May, allowing children from schools across England, Scotland and Wales to enter for the chance to win a VIP invitation to meet the Senior Open Championship winner. The Senior Open Championship, co-owned by the Senior Tour and The R&A, will be held at Royal Porthcawl Golf Club from July 27-30 for the second time in its history after hosting the 2014 edition, which was won in stunning fashion by former Ryder Cup Captain Bernhard Langer. 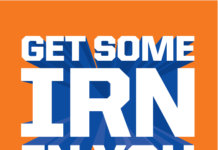 Other prizes include family tickets to the event at Royal Porthcawl GC, access to ‘Get into Golf’ family days, masterclass sessions with golfing legends, junior golf clubs, signed merchandise, and a school visit from a Senior Tour professional golfer. 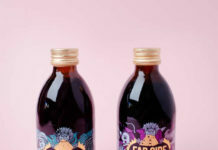 In order to have a chance of winning, you need to purchase a Radnor Fizz bottle, peel off the label and enter the unique code at www.getactivewithgolf.co.uk. Radnor Hills Water, which has previously partnered the Senior Tour at the SSE Enterprise Wales Senior Open and Willow Senior Golf Classic, produced 175 million bottles in 2015 and has increased its production capacity to 300 million bottles in 2016, also the year of the company’s 25th anniversary. All products are produced on their site based in Radnorshire where they are extremely proud of their strong Welsh heritage.